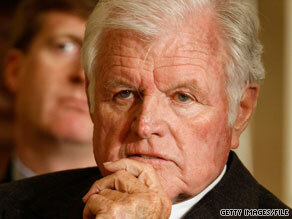 All four living former presidents are expected to join President Obama at Saturday’s funeral Mass for Sen. Ted Kennedy, family and law enforcement sources indicated Thursday. Another service, closed to the public, will be held at 10:30 a.m. Saturday at Our Lady of Perpetual Help Basilica in Boston’s Mission Hill section. The church is known as Mission Church and is a short distance from the Kennedy library. Learn more about Kennedy’s funeral arrangements » Burial is to take place at 5 p.m. Saturday at Arlington National Cemetery,the senator’s office said. Kennedy is eligible for burial at Arlington because of his congressional service and his service in the Army from 1951 to 1953. Army officials and members of Kennedy’s staff met at Arlington National Cemetery a few weeks ago to discuss a plan for the burial, a senior Defense Department official said. The plan was then given to the family by staff members. Watch a profile of Kennedy’s wives » The proposed grave site is 95 feet south of the grave of Sen. Robert Kennedy, the official said. Robert Kennedy’s grave is, in turn, just steps away from the grave of their brother President John F. Kennedy. Tropical weather could affect Saturday’s ceremonies. Tropical Storm Danny, now east of the Bahamas, is forecast to become a Category 1 hurricane by Saturday, a National Hurricane Center map shows. The storm is expected to brush the East Coast and be near Cape Cod by Saturday evening.